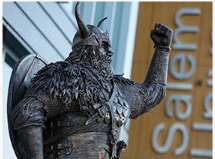 The federally funded TRIO Student Support Services (SSS) program at Salem State University seeks to increase the retention and graduation rates of first-generation, low income and students with documented disabilities by providing comprehensive services and opportunities designed to promote educational access. The TRIO Student Support Services (SSS) program provides comprehensive support services to eligible part-time and full-time matriculated students. This includes students from low-income backgrounds, those whose parents did not graduate from a four-year college and those with a learning/physical disability. The program is funded by a TRIO grant from the United States Department of Education. TRIO SSS offers eligible students comprehensive basic skills training, developmental education opportunities, student development and a variety of support services. All program activities are designed to meet student’s individual needs and to enable them to develop the skills and direction they will need to fulfill their educational and vocational goals. 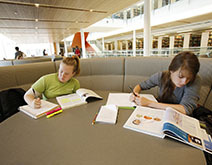 Services include academic support in reading, writing, math and science, in addition to course tutorials and testing. A comprehensive student development component is also provided to meet individual student needs. 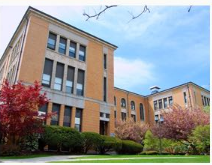 This includes, personal counseling, academic planning, financial aid assistance, financial literacy programming, and guidance in course selection and registration. 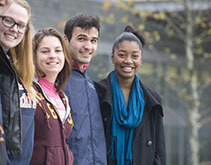 Want to learn more about the TRIO Student Support Services program? Contact Martine Francois with questions.